Good morning friends, out of respect I always take pause as we come back around to such a heart wrenching day in our history – 9/11. None in our generation will ever forget what we were doing that moment, that day. We clung to each other and our international friends covered us in prayer. Weeks turn into months, months into years; I thought it fitting to take a moment in remembrance. It just so happens that today is Day of Giving Friday and I picked a card that I thought speaks to a time of trial – 9/11 or the trials we feel on a daily basis. It is a truth that you never know how strong you are until being strong is the only choice you have. If you are new to my blog, you can read about Day of Giving Friday on my FAQ List at #11. For today’s comment – What we’re you doing when the realization of what happened on 9/11 hit you – do you remember? Thanks for stopping by today. Never Forget 9 – 11 – 2001. I know of noone who has forgotten where they were or what they were doing on days such as 9/11 or the day John F. Kennedy was assinated. I was in my office with the radio on and just totally and completly stopped to listen as the first tower, then the second tower was hit. It still gives me chills as I think about the disaster for so many. My heart goes out to all who lost friends and family on that day – we will never forget the sacrifice given by them and all the first responders! GOD BLESS AMERICA!!!!!!!!! May GOD bless you and yours on the monumental day, Becca! A very very beautiful sentimen and such a wonderful card here again Becca. As usual you´ve managed to make it sooo perfect. Becca, such a beautiful, heart warming card! I was at work on 9-11 when the towers were hit. I will never forget that day. Hi Becca, a beautiful card and an apt sentiment. Dear Becca: I don’t think we will ever forget that tragic day and what we were doing when what was going on finally sunk in. I wasn’t even watching the news channels, I was watching “I Dream of Jeannie” and having a cup of coffee. Then, the phone rang and it was one of my daughters, she asked me if I was watching the news and when I said no, she urged me to change the channel because “there has been an accident in NYC, an airplane just crashed on one of the Twin Towers”, I immediately changed to a news channel and was watching the tower in flames, at that point I really thought it was a tragic accident but then, I the other plane came into the picture and I watched in horror how it slammed into the other tower in a manner that looked totally on purpose and right then I realized what was going on. Then, my youngest daughter, who was at the University, came home because they sent everybody home, and we both sat there, watching this tragic day on tv. Then the Pentagon was hit, it was just horrible, we were crying in disvelief. My husband came home from work and we all hugged each other. Our oldest daughter came to join us later. Every year we remember this day and all the sacrifices that were made by the first responders and everybody who helped so much. Such a beautiful card and sentiment Becca, yes i will never forget this tragedy , God Bless . I had just retired from the U.S. Army and was fingerprinting for State Police. I remember all to well that horrific day. I was at work when we got a call from our boss saying that our base was put on high alert status, and that all non essential personnel were being sent home. As I did not fall into that category, I was asked to remain. We were allowed to take a few extra breaks however to watch the news as work permitted and were allowed to contact any family members if we thought it was necessary. It was a very somber day for all of us. One that I for one shall never forget. Lovely card as always and what a note. This date is not to be Forgotten. I was out shopping that day. I will never forget it. Today is also the birthsday of my nephew and we have to celebrate him. Its not his fault what happened years ago. I remember 9-11-01 like it was yesterday. I was at work, heard about the WTC and the plane. I prayed and was glued to the tv especially as reports of the next plane hitting the pentagon. I think we all know what we were doing that day, on the 11th of September of 2001, the same as we remember the day November 22, 1963, the day that President Kennedy was shot. However the 11th of September is embedded into our brains far more than in 1063 as we watched it happen, we watched the TV sets and watched every little details that was put in front of us, and many scenes were played over and over. I sat on my sofa in disbelief of what was happening in our beautiful county of the United States of America. This doesn’t happen in our place, it happens to some other country. NO, it happened here in our own back yard. The sadness is still in my heart and I think we have had more violence in our country since this happened. I pray everyday for peace and to protect the men and women that serve our country in the service and the same for all the policemen, firemen, EMT’s that have sworn to serve and protect us. St. Michael the Archangel look after all of these brave men and women. Sorry, I guess sometime I get on a roll and can’t stop. Hugs and God Bless my Friend! My goodness, where is my head? Becca I love this sentiment and think this should be an addition to my collection. Your card is stunning and I love the gold and black (not because they are Purdue University colors). I just think it is so striking, those die are beautiful! You did it again, another gorgeous card! I was on my way to St. Louis for our monthly embroiderer’s guild meeting when the radio announcer said something about a plane flying into a building. I called my husband and told him to watch the TV to see what was going on (probably the only day since he retired that he hadn’t turned the TV on as soon as he got up). We held our meeting and went out for lunch and then, for the first time, saw the carnage that had happened while we were meeting. Your card is very appropriate to memorialize such a day. left on my answer machine. They wanted to know if they would still be able to go to my villa in Florida. I switched the TV on and just wept. Praying for every soul. Beautiful card, Becca. I was at home when our daughter called in a panic wanting to know where her Dad was. You see, my DH often did field work in Somerset Co, Pennsylvania and she was afraid that he was out there. Luckily he was working from home that day but when she told us to turn on the TV all I could do was sit down in shock with tears running down my face. And several days later, he WAS out in the field there and actually saw the plane take off from Johnstown, PA airport with the black box from Flight 93….a lone plane in a silent sky. What a beautiful card Becca and so appropriate for today! I was watching TV and I saw what happened but details were at first a little fuzzy as to the cause and the extent of it and then I thought our country was being attacked; I had an OMG moment after the shock of this terrible tragic event that will be embedded in our memories and the memories of families who lost loved ones forever. A beautiful card Becca and so true. My son called home and told me ta switch on the TV! I will never forget this day! My husband and I flew to San Antonio for his business trip a couple days before and we always had their continental breakfast in the morning. That particular morning the lobby was full of people and we wondered why it was so crowded. After we got our breakfast and sat down that we saw the second plane fly into the second tower. It was so awful and we stayed glued to the TV for hours and hours. So many people lost their lives that day and we all still remember where we were and what we were doing. We couldn’t fly home so we eventually had to rent a car and drive back to Oklahoma. I also remember the day in Ok. City when the bomb blew up the Murray Bldg. I was at work that day and had my very small black & white TV at my desk and watched that event unfold. Pray for our nation and our people that we don’t experience any more horrible events like that again. It is my Grand Daughter in Australia’s 7th Birthday today, so a date I will never forget for a different reason. I was on my Tea Break at work, and we all thought it was a Movie ( Film)on the TV,we were so shocked to see that we were witnessing a murder of innocent people ! I will never forget either! Truly beautiful card Becca. I remember exactly what I was doing on 11 September 2001. I can still picture it now. I was at my desk in work when one of my colleagues received a phone call from her husband with the devastating news of a terrible accident at the twin towers and everyone was dumbstruck. As the news kept unfolding from the other side of the Atlantic with ever more horrors, we were all in shock that far worse than an accident, it was a deliberate act of terrorism. I shiver now at the thought of that dreadful day when our hearts went out to the very many people affected by this monstrous act. Unfortunately, these brutal acts of terrorism are continuing today, particularly in Syria and the aftermath for the poor refugees fleeing their country is so, so tragic. One day we will all live in peace. I hope I live to see the day. Sorry for pouring this out but I feel so incensed by it all. I was sitting in the parking lot of the post office in St. Francesville, LA on my way to Baton Rouge, LA to visit my husband who was working a nuclear outage in the area. I could not fathom something so horrific happening to our nation. Oh yes, one of those days I will never forget. I was preparing to go to a job interview & heard it on the radio. Turned on the TV to see what they were talking about. Could not believe my eyes! Or my ears! I remember driving to the interview watching the skies, feeling anxious about what might happen. Of course the TV was on at the interview also, with people just plastered to the screen with disbelief on their faces. It still brings tears to my eyes & pain to my heart. And I pray it does not happen again. This card is so beautiful & the sentiment is so uplifting. My sister is fighting ovarian cancer & I never realized how strong she was until going through this. She has had lots of problems but just accepts them & plows through. I was working for JMC Direct a part of Thomas Cook travel Company and can remember it precisely and the deathly quiet that descended our call centre and then the tears that came and we weren’t even in it but our hearts just went out that day to all those people that we were watching and could do absolutely nothing to help. That paralization that you get that you can’t move, speak or do anything, thanking god almighty that there were survivors but asking the same god almighty why, why them. Then the phones started to ring with people wanting to cancel holidays when we were powerless to do anything. We understood their fear but at that point could do nothing to help, our heads and hearts heavy and powerless. But it is the quietness that i don’t think i will ever forget nor the sights of people throwing themselves out of the top of the building and knowing that there was no way they would survive either way. I still remember this date and the scenes from the day live on within me. I remember it well. My husband and I were home having a late breakfast when my daughter called, She was so upset and told us to open our television to see what was happening, needless to say that we were glued to our set for the duration of the day. that was the beginning of so many changes in our lives. Beautiful card and sentiment Becca!!! Thanks for the chance to win. I only remember the impact of the horrible news which seemed to go on forever in more than one place. I was STUNNED! I do remember praying a lot for those in the areas hit, and still do as I see the results on those touched by 911. That morning my daughter had the news on while she was getting ready for work when she saw that the first tower had been hit. She came to my room to tell me what was happening…we spent hours watching in horror as the events of that day continued to unfold. My daughter worked at Disneyland and like so many other places that attract large numbers of people it remained closed. Hi Becca, At the horrendous time of 9/11, I was working in a place that tested satellite boxes for repair, we were flicking through the test channels and one being the News, we couldn’t believe our eyes at the horrendous sight the pictures portrayed, what a terrible day that was for everyone. 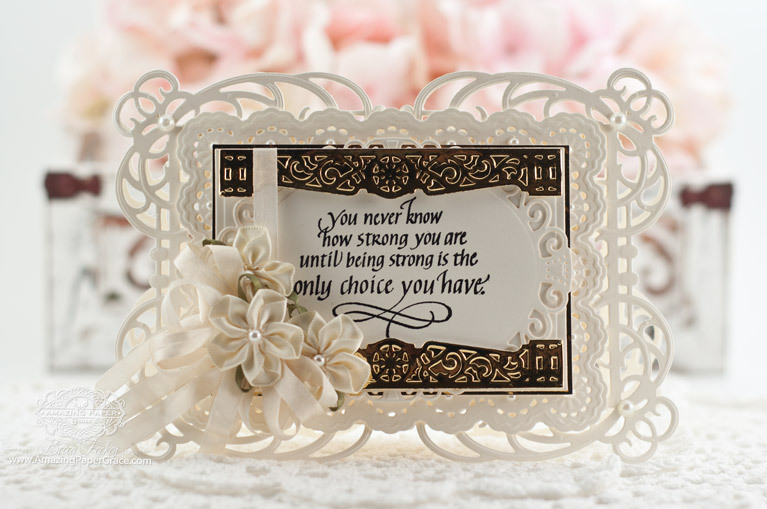 Your card is beautiful, as always, and this sentiment is aimed directly at me at the present time, I seem to have found strength that I never knew I had !! so the sentiment is definitely true. Perfect card for the day, Becca. My future husband and I had made the decision to rent a home together and I was on the way from SW WA to a Portland suburb to await a utility company to come, as well a the cable company. It was early in the morning and I had the news on. The first tower had been hit….then the second. By the time I was getting a cup of coffee, air space had been closed. When I got to the house, I didn’t have a radio or anything, so I listened to the car radio intermittently. My husband was an active member of the Oregon Air National Guard and was on a major drill that day. He came home for a few minutes to see how I was, and I think to do a bit of grounding for himself. He said the air base was a tight ball of nerves…and they had had to scramble jets once already to head up north to get a civilian plane down onto the nearest air strip. I introduced myself to the next door neighbors that day, and they loaned me a radio so I could listen to the news. Their daughter had just come home from the hospital, with a baby girl born the day before…she is now 14. Gorgeous card! I think it was made for me as the sentiment seems very appropriate for my life at this time. Good Morning Becca, I remember 9-11-2001 tragedy vividly. I was getting ready for work, I turned on my TV to watch the first plane fly into the first tower then the second plane fly into the second tower. I sat on the edge of my bed in shock and called to my husband to look at the TV, I said to him “is this real, he said “I don’t know”. He sat on the edge too and we both sat there dumb founded. Eventually we were convinced it was real and finished getting ready for work. It was a very somber ride (we car pool). Hugs to all families and friends who lost their loved ones my heart cries for you. Becca your card is absolutely gorgeous your sentiment is so appropriate for today. I think I need that sentiment as it is so versatile.I also have the filigree die on my Wish List. What a GORGEOUS & SO APPROPRIATE CARD Becca!!!! It will DEFINATELY TOUCH the persons heart that receives it! Beautiful card and a lovely way to honor our memories of 9-11. Some events have such magnitude that our experience comes flooding back, undiminished by time and space. I woke up to radio reports so horrific that my mind could not grasp them. I looked for validation that the reports were real. Despite tv images, I found it impossible to believe. I think I watched days and days of television coverage, hoping for a different outcome. Years later, what I know is that tragedy has a tremendous unifying effect; and that humans are capable of unspeakable evil, but also, of extraordinary courage, generosity, hope and love. Can anyone ever forget where they were. I was in a classroom when a teacher opened the door and called me out. I knew it was bad news because I have never seen this man so shaken. During break, I went into the lounge and saw the plane crash into the second building. Was this really happening, it seemed so surreal. My heart still goes out to every family that was involved. There were many losses that day. Still losses today as many of the First Responders are suffering illnesses that were caused by that day. I for one plan to sign the Change.org Petition started by John Feal to permanently extend the programs started to help the Victims and their families who are still suffering to this day. 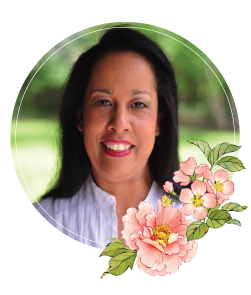 I hope to see many of you join me at Change.org. Who could ever forget that day? I was out working in the yard in our new development. A house was under construction across the street and the worker had his truck radio on loud (so he could hear over his pounding). I heard something about a bomb and since I was getting hungry I went inside wondering where in the world something awful had happened. Turned on the TV and my husband and I stood there transfixed at the horror. I remember saying, We’ve been attacked. We’re at war . . . I was a dental hygienist at work. I will never forget my first patient told me to hurry up and get her out so she could call her financial adviser to sell her stocks before they tanked. It made me so mad and amazed that someone even had a thought like that. Human nature is so complex?! I was talking to my cousin, when she told me to turn on TV. At first, I thought it might be an accident until I saw the size of the plane. Then the 2nd plane hit. I remember the days of no aircraft flying, even though we lived near an Air Force base. I remember all too clearly. I was an administer at an elementary school in the Hudson Valley, 70 miles north of NYC. My husband was a District administrator in Long Island and called when it happened which enabled me to immediately send TA’s around to alert teachers and tell them to remain calm and not tell the students. I knew parents would be rushing to the school as soon as they found out and buses would also be arriving to take children home. Parents were met at the doors and in the parking lot and taken to the auditorium, where their children would be brought. It was difficult to calm many of the parents so they wouldn’t scare their children. I also had to be sure parents who drove there were capable of driving home. Our daughter and her husband lived and worked in NYC, and I had no idea if they were okay but my job kept me focused. My husband called as soon as he heard they were fine. My cousins’ fiancé was a fireman who died in the rescue that day. The following week, I took a train down to NYC for his MEMORIAL SERVICE in Staten Island. I have never seen NYC that sober and quiet! It was so erie, You didn’t even hear horns honking. American Flags flew everywhere. I will never forget that day and how it affected and changed our country. Look what is happening in the Middle East at the moment , 9/11 was horrific !!! happening no place is safe from terrorism. I will never forget that day. I was at school and had looked out the window at the pristine blue sky. I called my husband to tell him he should find a pilot to take him up to do some aerial photos of our region. Then I heard the news. I was stunned. Things like that happen in other countries, not in the USA. What a beautiful card, Becca. I just love the lacy layers! Your sentiment is showcased beautifully! Thank you for the inspiration. Becca although I am in New Zealand I surely remember – the first I heard was when I turned on the radio as I went to prepare breakfast. I ran through to tell my husband who was still in the bathroom, and then we turned the TV on and watched in horror. Thank you for your beautiful and thoughtful caRD. Wow such a gorgeous card with a very fitting sentiment. I remember coming home from work and seeing it all on the news, could not believe such a thing had happened. I think that was the turning point of realizing the lengths these terrorists will go to, I cannot remember them doing anything as bad as that before but then that moment was so shocking it erased all the past awful things they had done. My heart went out to all those people, their families, we can not even begin to know what it must have felt like. It will be with my until my dying day. We had come home from holiday the day before and I was hanging out the washing in the garden. When I walked into the house, I switched on the TV, and thought at first that it was a film. I checked the channel and saw that I HAD put on the news channel, and then the reporter spoke, the remarkable thing was that they just happened to have a crew there and captured everything as it was happening. It was just after the first plane hit the tower, and I called to my husband to say that there had been a terrible accident, when the second plane hit. We were numb. I telephoned my daughter who worked in the Medical School in the University, and they immediately switched on their TV’s. George and I watched all day, we saw the brave fire fighters going in and not coming out. The fatigue and tiredness, the people running for their lives, and those who could not face the prospect of what was to come. I will never, ever forget the terrible sights. I still remember them in my prayers. Love, hugs and prayers to those still suffering. Such a tragic day in history. Even though I am in Australia it felt like it was on our doorstep. We were all so shocked to what horror had just occured. I remember I was asleep & was woken by my husband. My husband who was up at work at 2am had heard it on the radio on the way home. He turned on the tv & it was on every station. So many heroic stories that came afterwards! I will never forget that day, i was looking after my Grandchildren, they had just sat watching the children’s TV then it came across as a News Flash, such devastation, i just kept asking Why , Why it still brings a tear to my eyes . The Mystical Embrace die is so wonderful as a card base and I love what you have done with the decoration!